Team carried out a slew of rescue missions in Brazil following the dam collapse that left dozens dead. 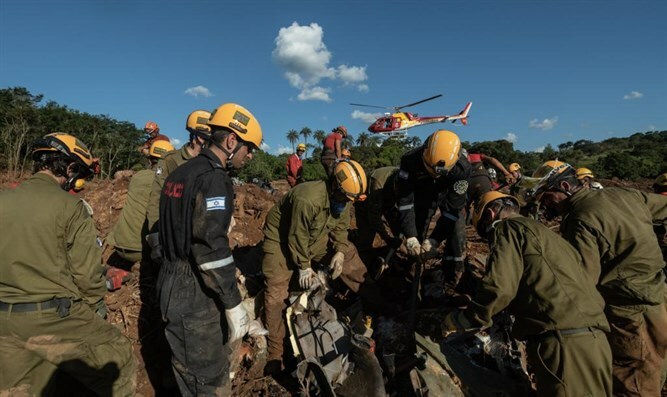 On Friday morning, the IDF aid delegation landed in Israel after completing its mission in the area of the collapsed dam in Brazil. The delegation was welcomed with a ceremony that was held by the Commanding Officer of the Home Front Command, Maj. Gen. Tamir Yadai in the Ben Gurion International Airport. During the delegation, the troops carried out a number of missions to rescue missing people, following the Brazilian emergency authorities' request. The delegation assisted in locating and rescuing dozens of missing people using a range of advanced technological means. In addition, the soldiers assisted the local Brazilian emergency authorities and shared innovative techniques who will assist and serve the authorities in the searches. 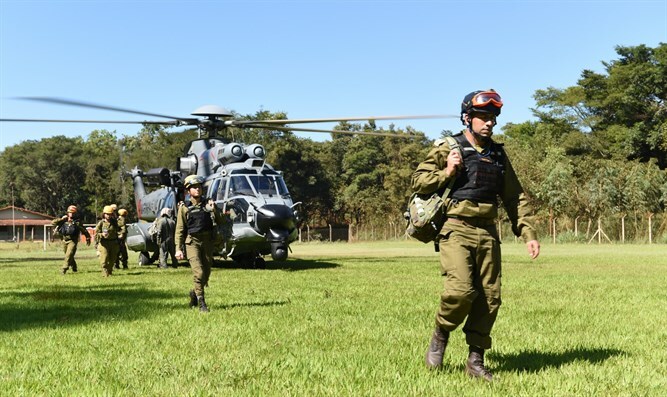 The IDF aid delegation included approximately 130 officers and soldiers in mandatory and reserve duty and was accompanied by the IDF's Military Attaché in Brazil, Col. Raed Kadur, the Israeli Ambassador to Brazil, Mr. Yosi Sheli and his staff. Before the Israeli delegation departed, the Brazilian rescue authorities held an appreciation ceremony for the IDF delegation.